Anup Malani is the Lee and Brena Freeman Professor at the University of Chicago Law School and a Professor at the Pritzker School of Medicine. He is also a university scholar at Resources for the Future in Washington, a research associate at the National Bureau of Economic Research in Boston, a senior Fellow at the Schaeffer Center at University of Southern California, an editor at the Journal of Law and Economics, and on the board of the Neubauer Collegium and the Becker-Friedman Institute. Malani is also the co-founder and Faculty Director of the International Innovation Corps, a social service program that sends teams of University of Chicago and foreign university graduates to work on innovative development projects with government officials in India and Brazil, and the Faculty Director of the Tata Centre for Development, which undertakes and evaluates development interventions in India and trains Indian government officials. Malani has a PhD in economics and a JD, both from University of Chicago. He clerked for Judge Stephen Williams on the U.S. Court of Appeals for District of Columbia and Justice Sandra Day O’Connor on the U.S. Supreme Court. Malani conducts research in law and economics, health economics and development economics. His law and economics research focuses on models of judicial behavior and measuring the welfare impact of laws. His health economics research focuses on the value of medical innovation and health care insurance, control of infectious diseases, and placebo effects. He is the principal investigator on the Indian Health Insurance Experiment, an 11,000 household randomized controlled trial of health insurance in Karnataka, India, and on a large-scale impact evaluation of Mission Kakatiya, a major effort to expand rainfall capture as means of irrigation in Telangana, India. 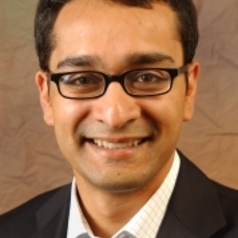 Malani’s research has been published in leading journals in a number of different fields, including the Proceedings of the National Academy of Sciences, the Journal of Political Economy, the Journal of Econometrics, the Harvard Law Review, the University of Chicago Law Review, the Archives of Internal Medicine, and Theoretical Population Biology.